That’s right, friends! Krypton won the heir poll! Here’s Juniper looking displeased. I guess she wasn’t quite ready to pass the torch! Looking rather adorable if I do say so myself. Kasidy and Keiko – Nice girls. Lookin’ great. Here’s Kira Nerys, also standing around in the dining room. And lastly, our almost victor Kahless. 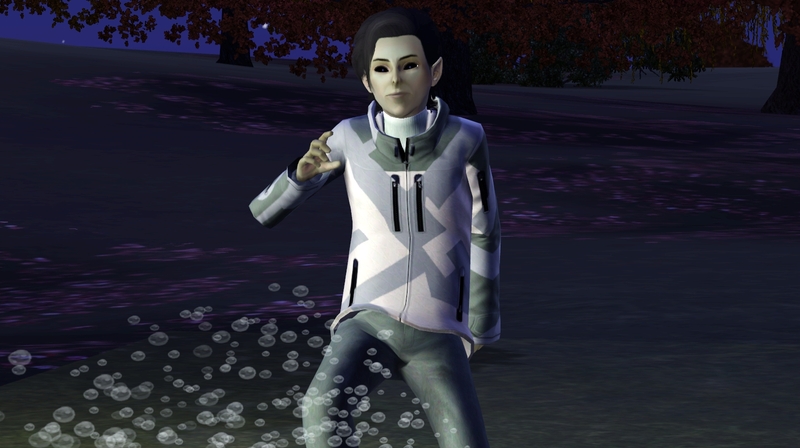 Playing around in his outerwear on the water-slide. Good race for poll buddy! You tied! 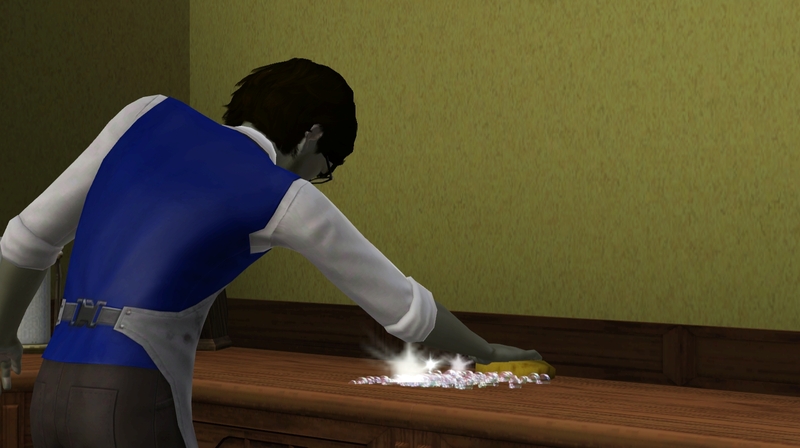 Krypton’s first action under my ultimate rule is to clean a counter. 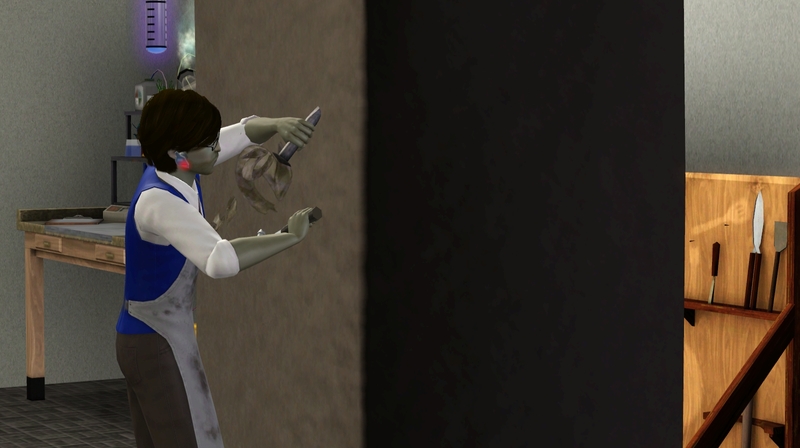 I had forgotten how fun a neurotic Sim can be, and how you can ear a zillion LTH points by fulfilling all the cleaning and sink checking wishes. And it’s time to get started on that LTW! 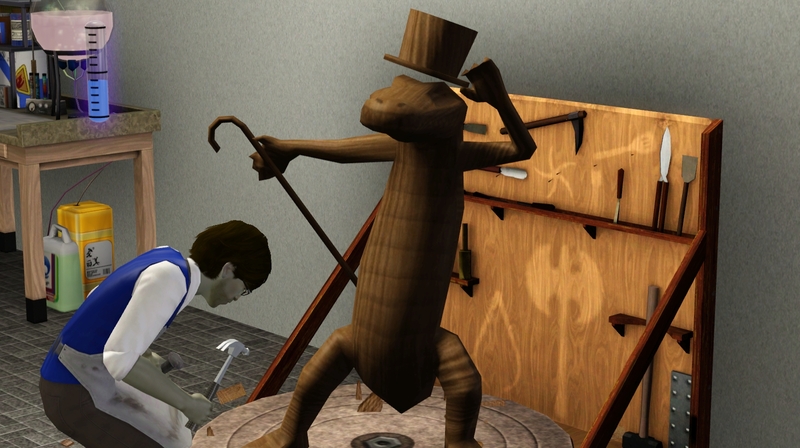 We need to master painting, inventing and sculpting! 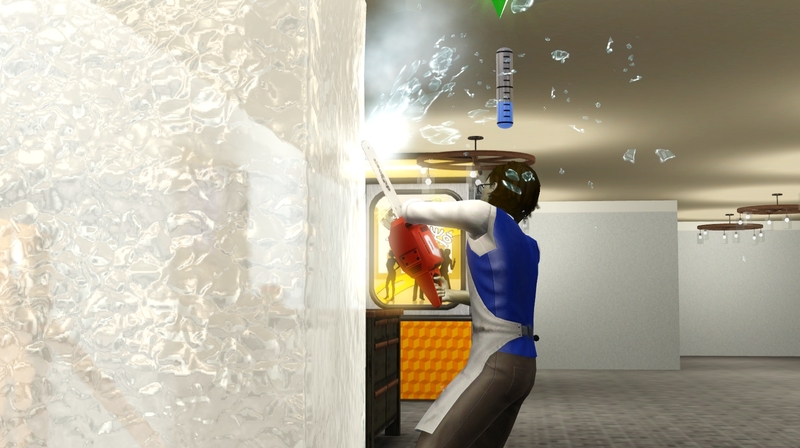 …I may have made a mistake. But here we go! 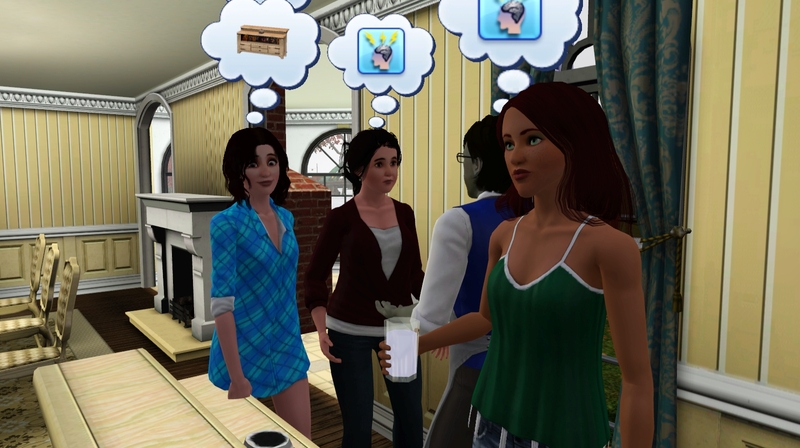 Left to Right: Jasmine Miller from the Miller-Yang Legacy, Anne-Marie Kultura from the It’s a Small World After All Cultracy, Sammy the SimSelf, creator of the Miller-Yang Legacy and her own TS4 ISBI Sammy is Surrounded by Idiots, Betty Lightning the founder of my own Lightning Alphabetcy, Julia the SimSelf, creator of the Loki is Surrounded by Idiots Legacy, unfortunately mostly hidden SimSelf Sam, creator of the Maloney WYDC, and the Rourke Boolprop EPIC Legacy Challenge, and lastly, my own SimSelf. 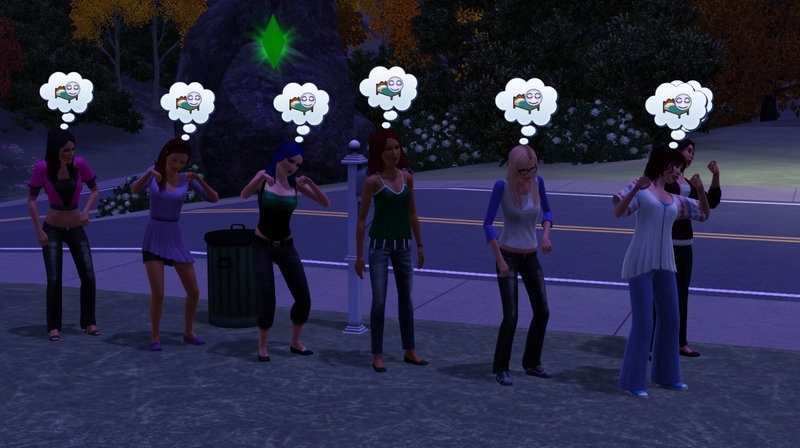 Apparently the move was tiring for all of them. Back at Casa de Zale, we’ve made a chair! 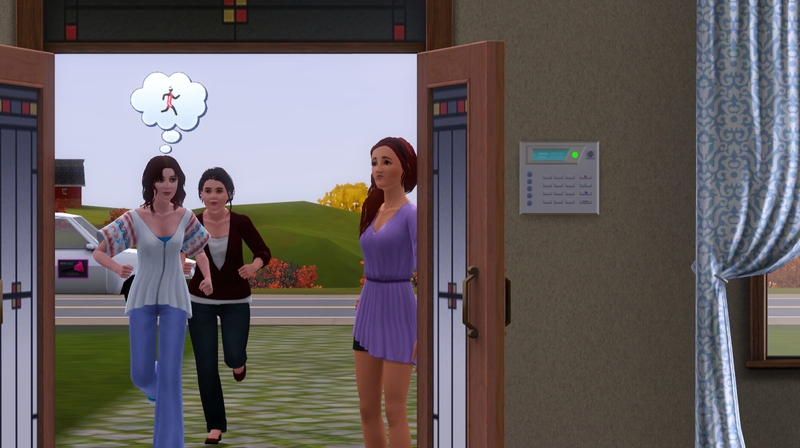 It’s too early in the morning to go visit the new neighbors, but soon! 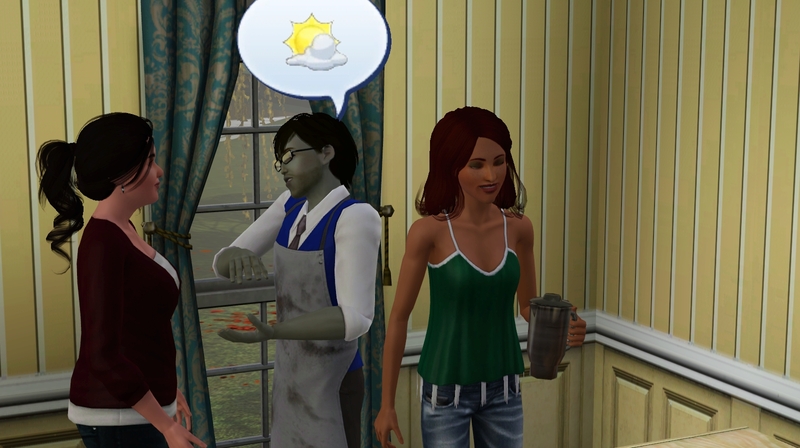 Betty, Sammy and Julia are still outside. 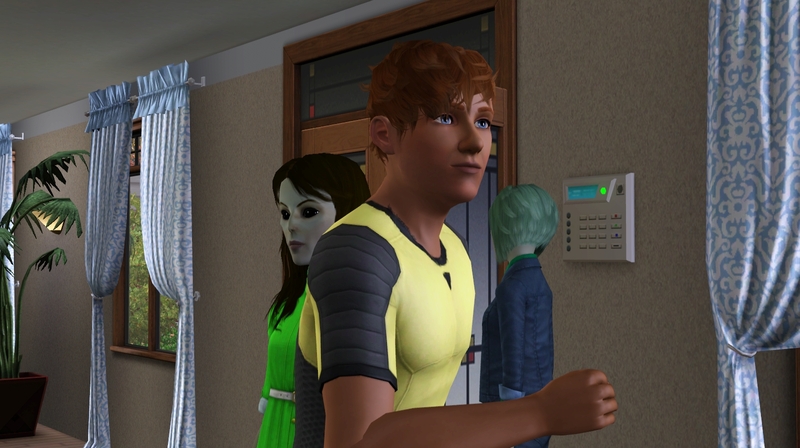 Krypton approaches and Sammy and asks to be invited in. A quick intro to Jasmine! 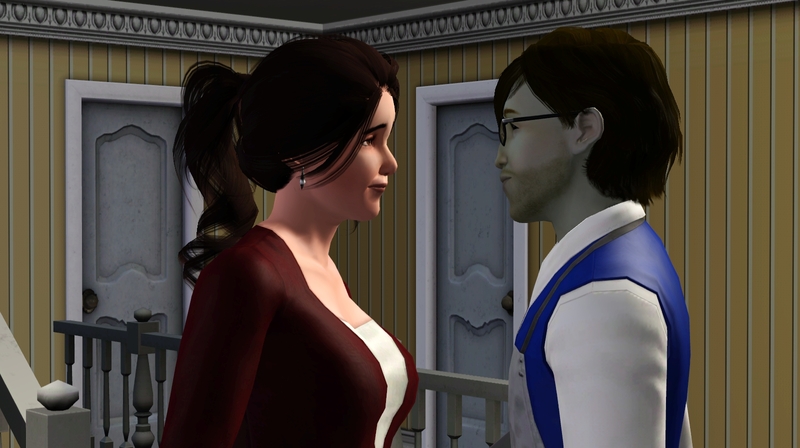 Jasmine is who I planned on having Krypton marry – but they didn’t really hit it off! Another intro to Anne-Marie while Sam makes drinks. And more hearts for Sam herself! Krypton hearted Sam, Anne-Marie and Sammy – not Jasmine who I had mentally betrothed for him. 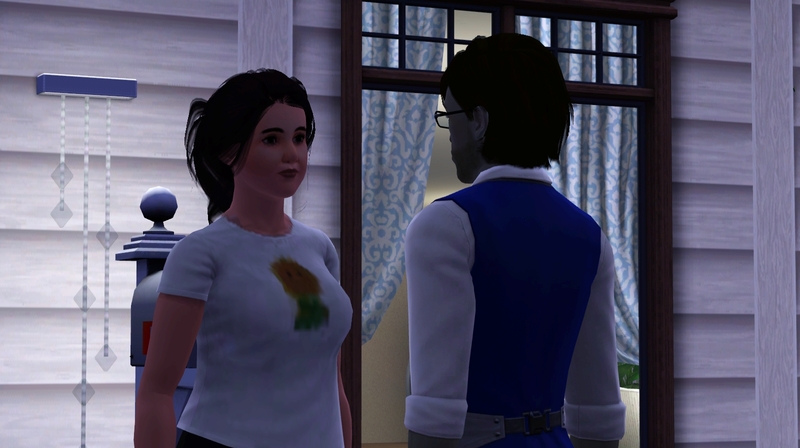 I decide to let Krypton chat up Sam to see how the relationship goes. 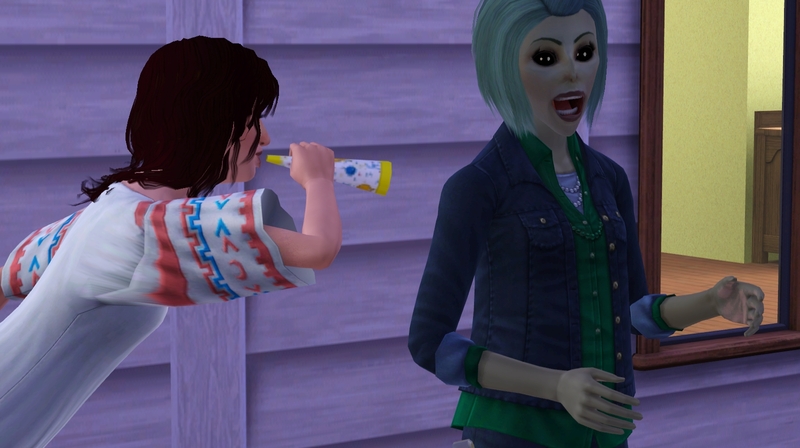 Betty interferes and gets drinks. 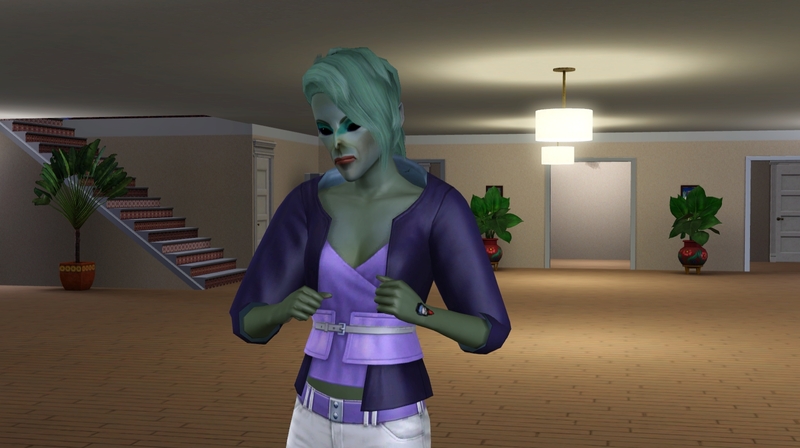 O.O Nice SimHeather, real nice. Krypton tests his manly wiles on Jasmine. 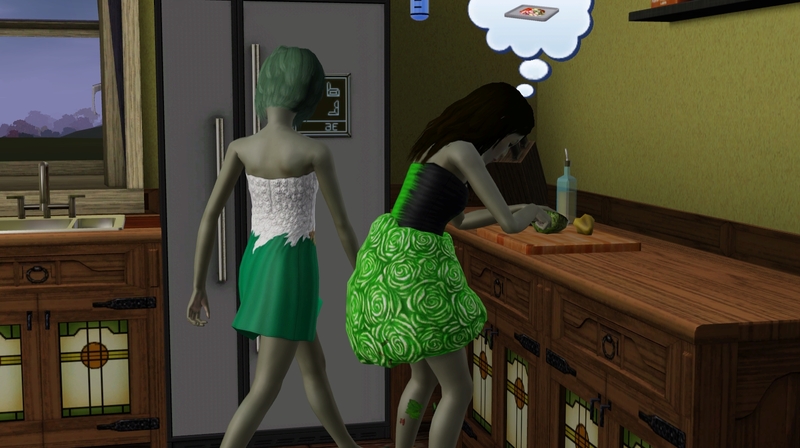 Then I have Krypton go for it, to see if Jasmine is suitable spouse material for him. Sorry Jasmine. 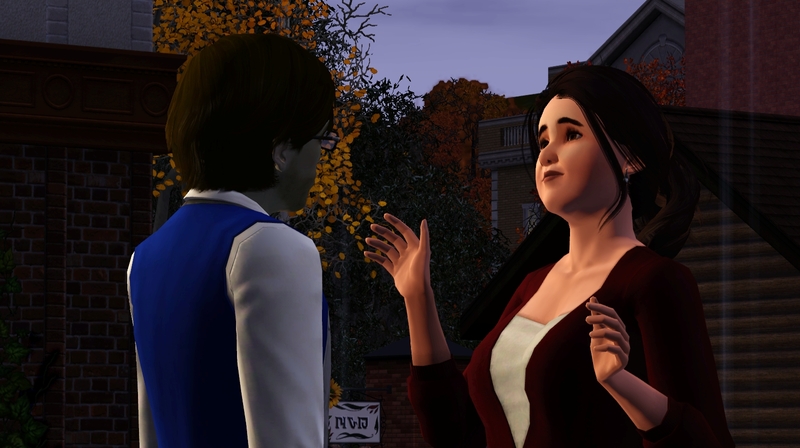 You’re a very lovely Sim, and we’ll find a use for you someday! 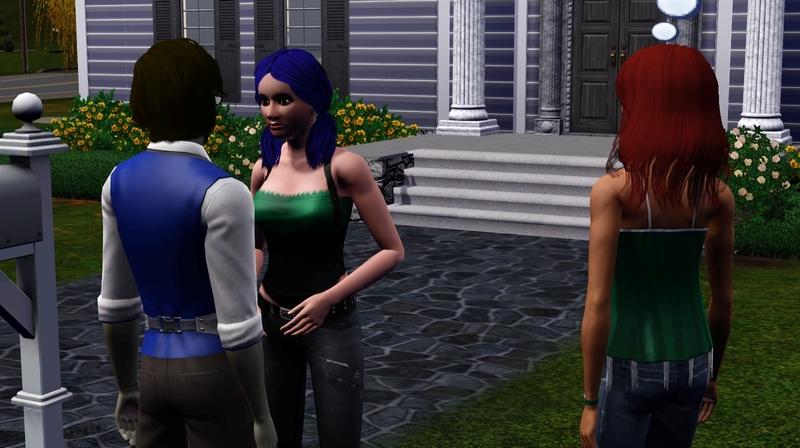 Now that Jasmine thinks Krypton is creepy, he heads back over to Sam. 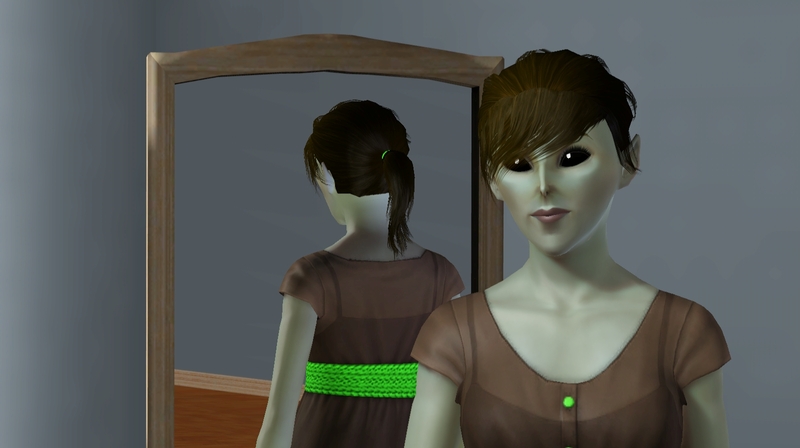 Sam, you made a SimSelf at your own risk, now you’re going to become a Zale and marry an alien. And with that successful outing, I send Krypton home. 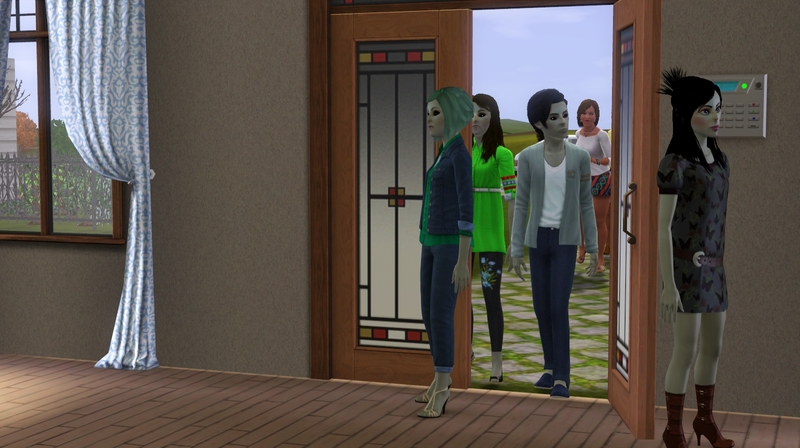 He arrives just in time to see the girls heading off to prom! 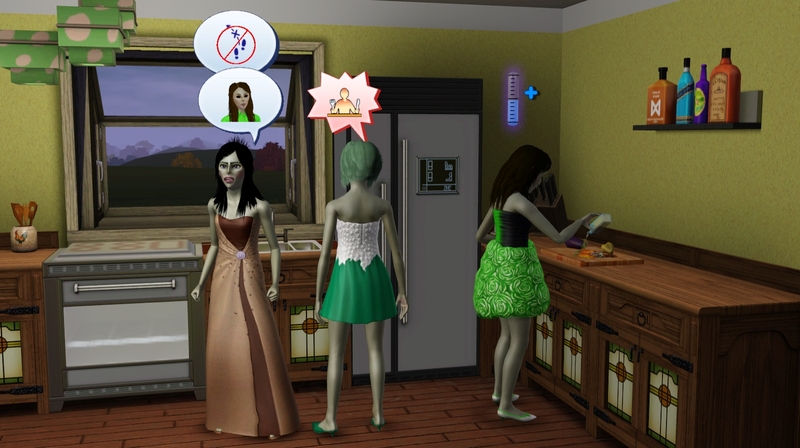 They all look lovely in their dresses. Even Keiko. …ooh! It’s a lion thingie! We sell it for 30 bucks. At prom, Kahless starts dating someone named Pansy, and Kira Nerys hits it off with someone named Pierre. 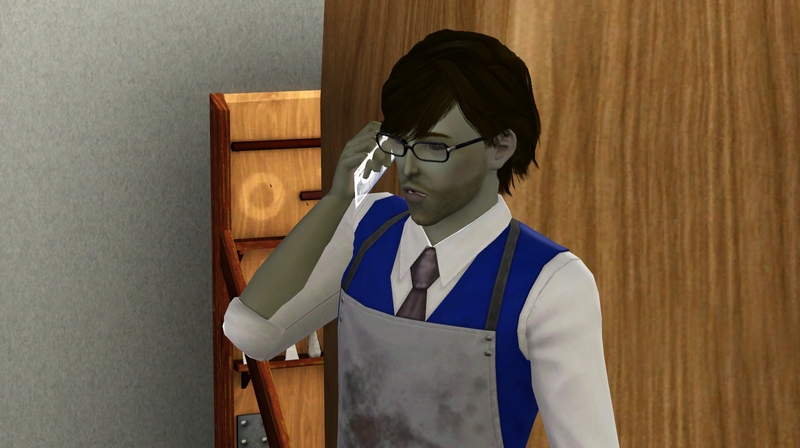 At home, Krypton brushes his teeth three times. 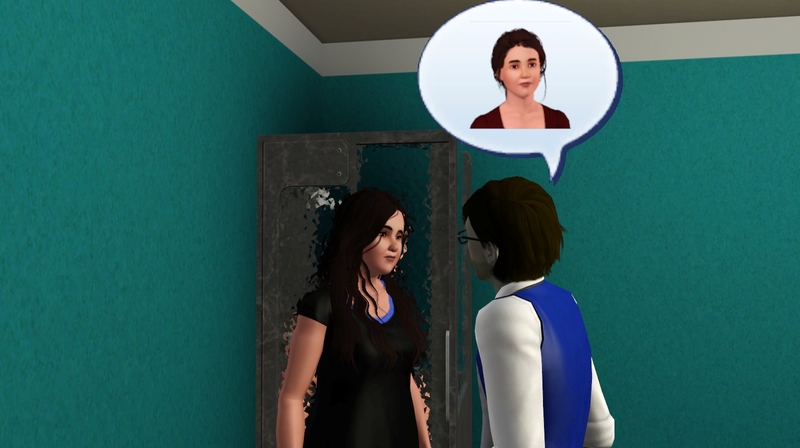 …Sam isn’t interested right now. But Sam! 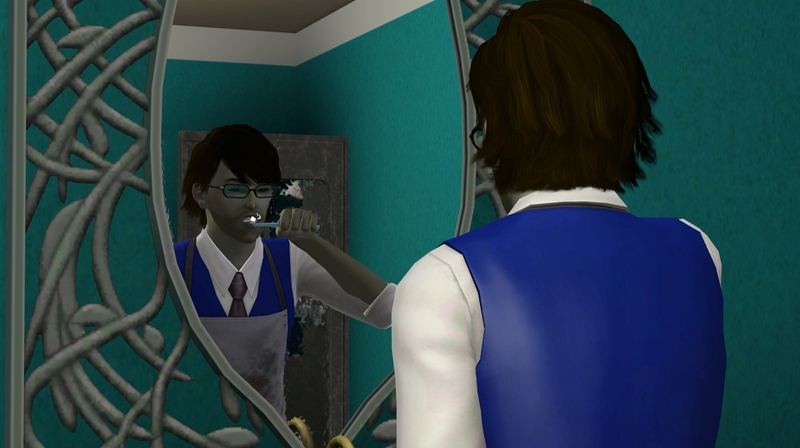 he brushed his teeth three times! And in each others way. 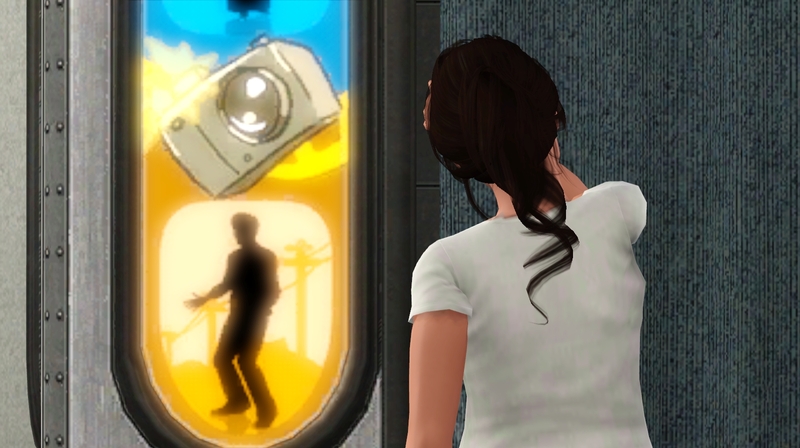 Oh chill out Keiko you freak. 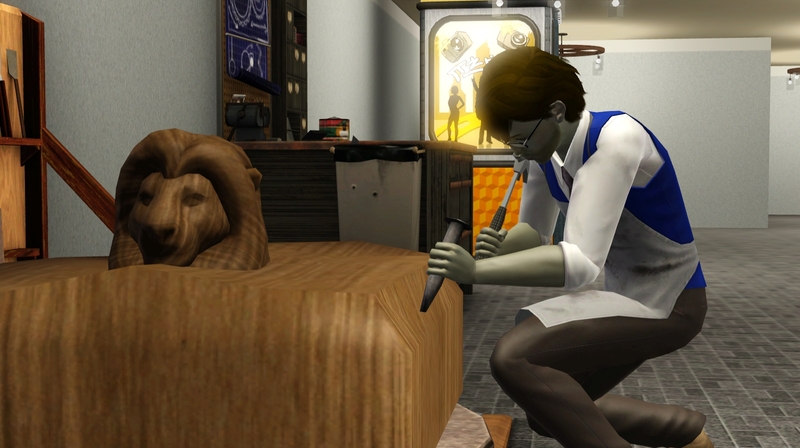 Downstairs, with the teenage chaos above going unnoticed, Krypton can sculpt with wood! What a fun little alligator! All the hard work sculpting and finding a girlfriend has taken its toll on Krypton. 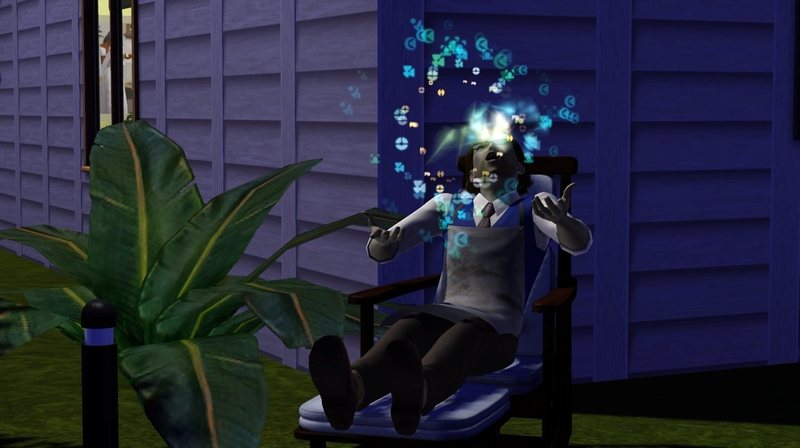 Like his mother before him, he finds the lounge chairs out by the pond to recharge his brain power. Juniper is the only one home with Krypton right now. I miss her, I really do. I still hope she can top that career and earn us that fridge! 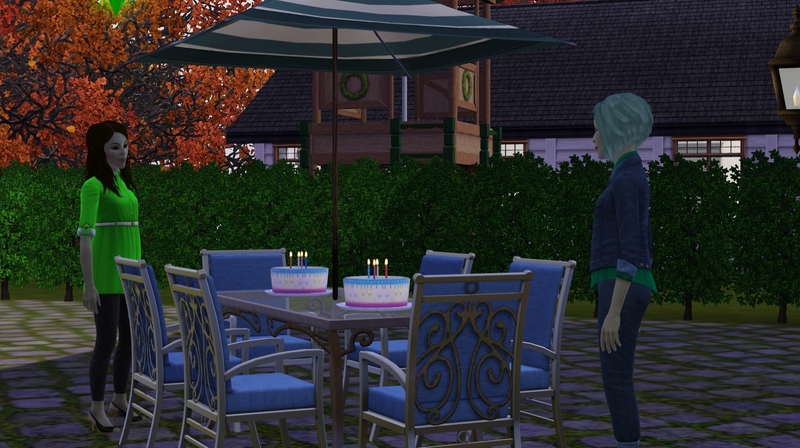 I bought a couple cakes, then Juniper went and cried about them. I guess he doesn’t want her babies to grow up! 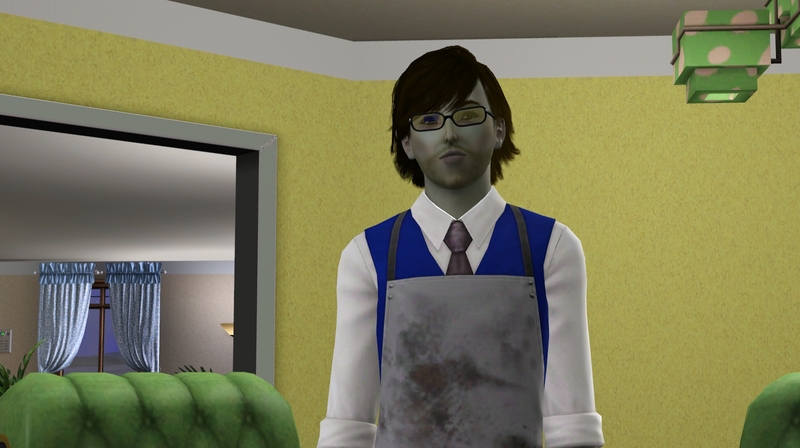 This guy, Pierre, is Kira’s love interest. He’s rather handsome, if not a bit boring in the face. 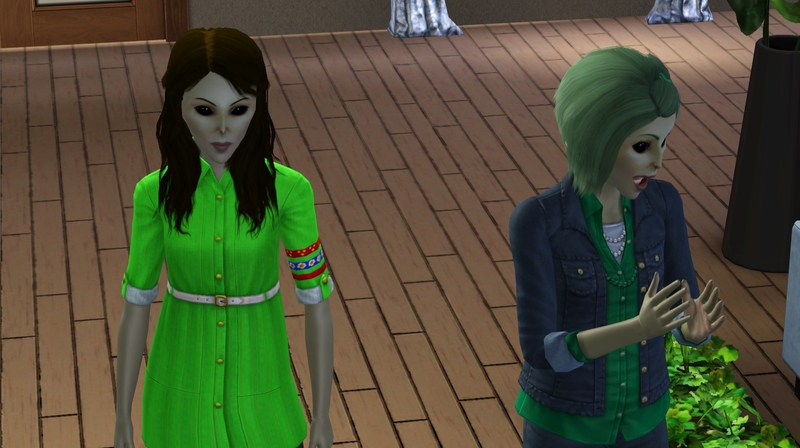 And here comes Sammy and Julia! 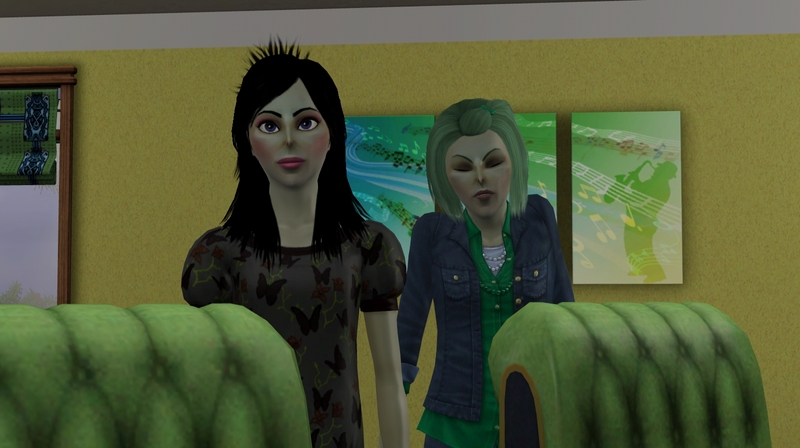 My SimSelf, Anne-Marie and Sam! Birthday time for the girls! 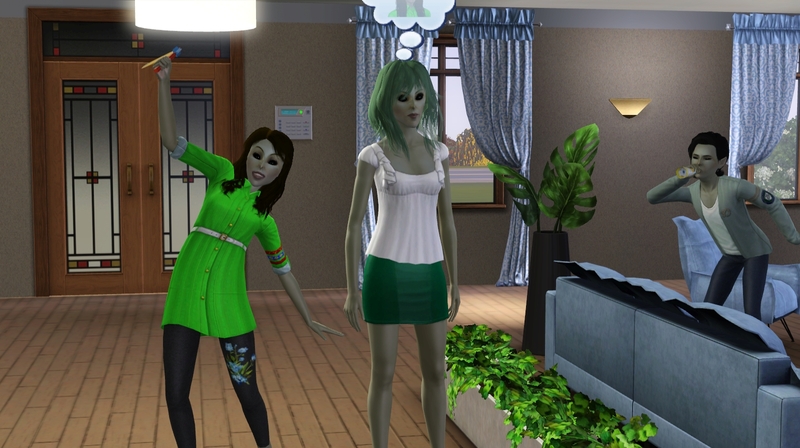 Kira Nerys and Kasidy are aging up! Why is it always you? Krypton Approves. 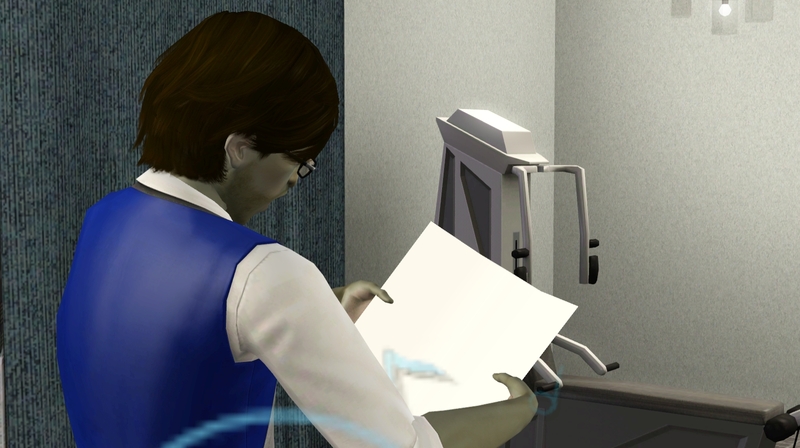 No really, he’s even clapping about it. Birthday time! 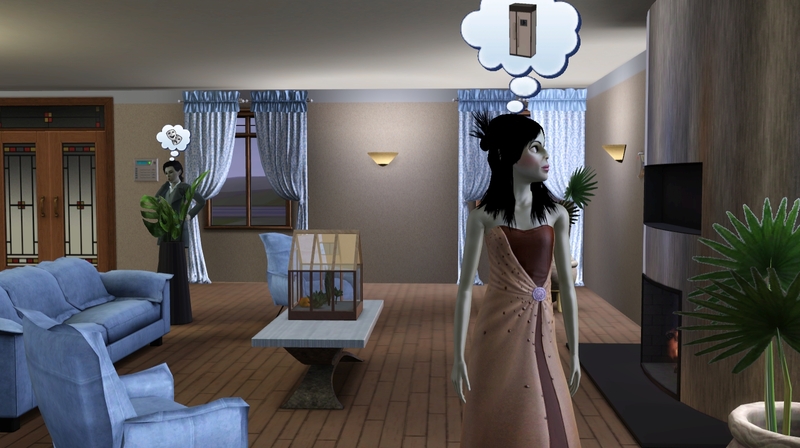 Juniper, Keiko, and Pansy Prudence, Kahless’ RI from prom. Wow. That’s a lot of ugly in one picture. The boys support their sisters on this special day. Well, Krypton showed up, at least. Kasidy rolled disciplined to join clumsy, eccentric, genius and absent-minded. She doesn’t look exactly like Juniper, but I can’t really figure out what the differences are. Then my game crashed. GRR. Fast forward through a very different prom, and I age them up at about 4:00 pm on their birthday. 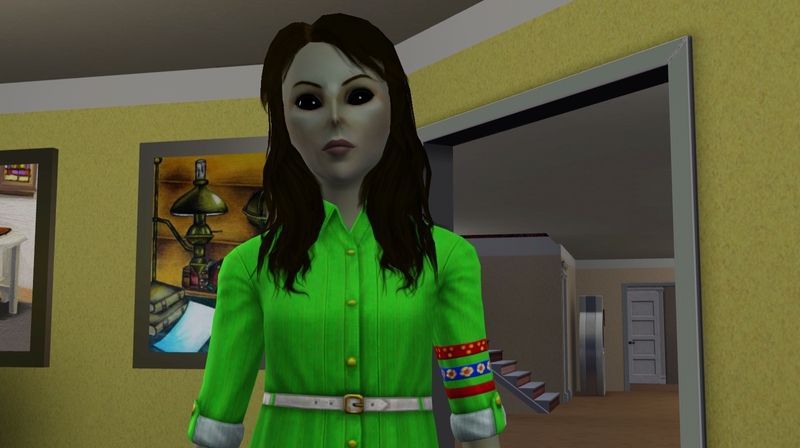 I gave Kasidy disciplined, as she’d rolled it last time – the same hair, and a similar outfit. Then Kira Nerys goes, and rolls workaholic to join heavy sleeper, grumpy, bookworm and mean spirited. And we’re back on track! I have Krypton ask Sam out on a date! Thankfully she says YES this time! Although she felt the need to bring chaperones. 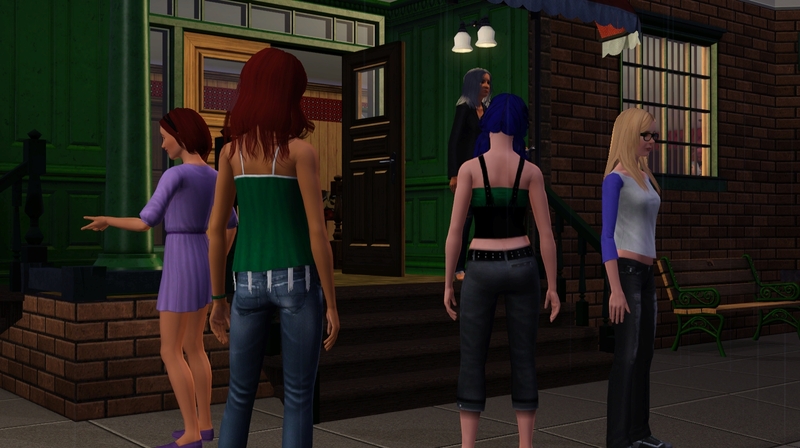 Julia, Sammy, Anne-Marie and Betty are there too. But when Krypton does finally get Sam alone, it’s adorable. And very sweet. Look at her cute face! 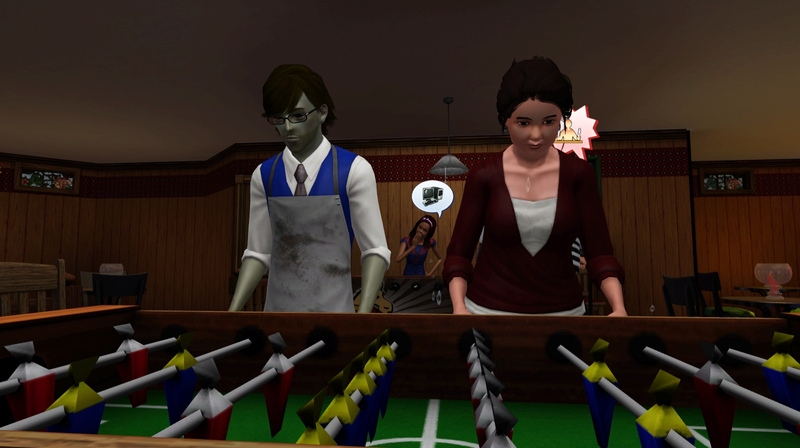 Inside the lounge, Krypton and Sam play foosball. 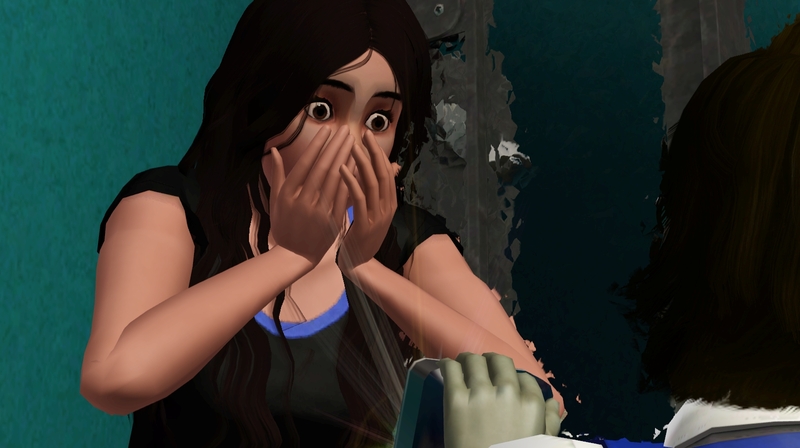 Jasmine tries to throw a wrench in things and reclaim her position in the legacy. Sorry Jasmine. Not this time. Krypton rolled a wish to see a movie, and Sam was feeling overwhelmed by the crowd, so I sent them to see “I’m Dying, Let’s Dance”… sounds uplifting. They run through the rain to catch the show. Pretty romantic! Krypton enjoyed the show, and the company! And it was a great date! After the date, it’s back to work! 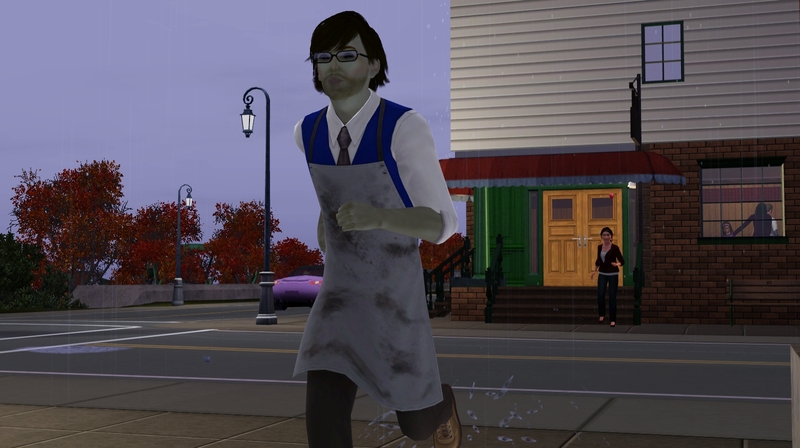 Mastering three skills will take some time! Ooh! We’ve graduated on to ice! 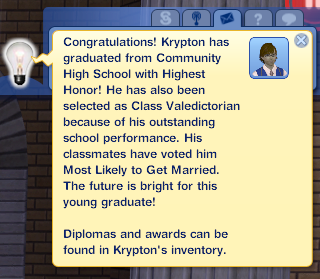 Krypton graduates class valedictorian and most likely to get married! I have to agree, it is quite likely he will get married. He looks very happy with himself! 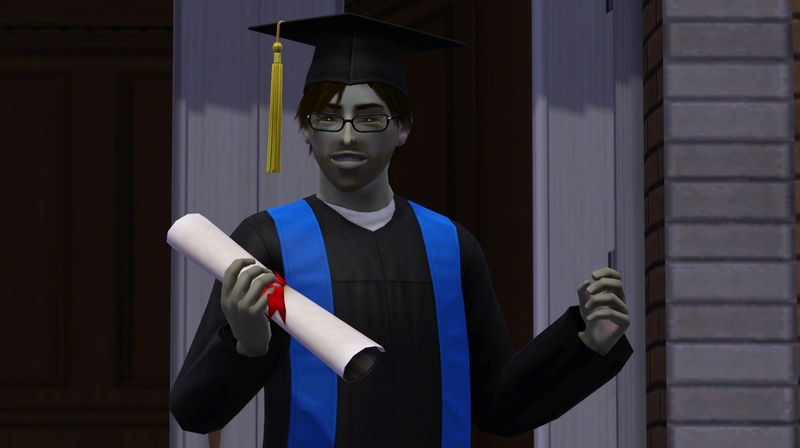 After graduation, it’s time for another date with Sam! This time, not out and about, but at home. 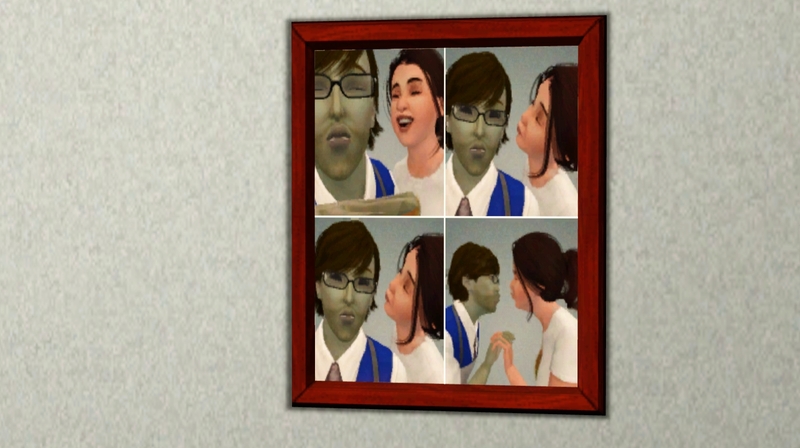 The Zales have a photo booth in their basement. It’s a nice date activity. 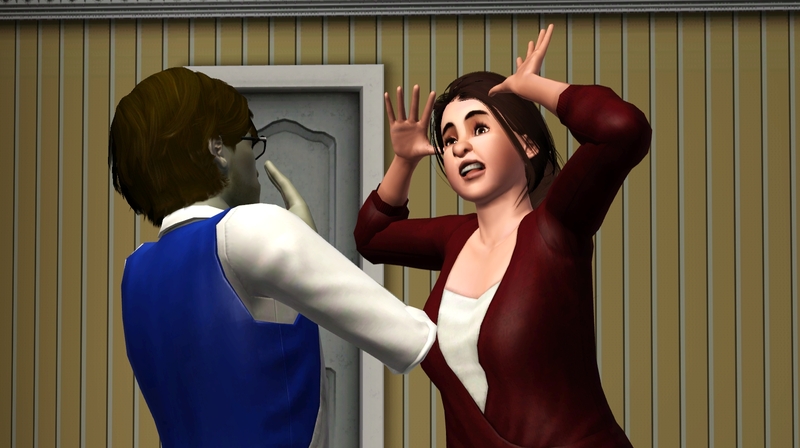 Sam, you are a lovely little SimSelf – I hope you don’t mind that you’re joining this house! Sam is a little surprised at first! But of COURSE she says yes! With that Samali aka Sam joins the Zale house! And we’ll have to wait and see what the future holds! What shall happen next time? A wedding? Maybe a Generation L baby or two? Come back soon to find out! 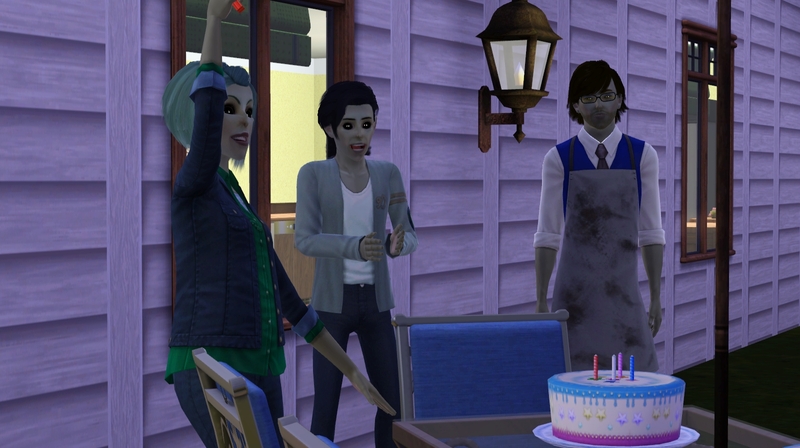 Until then, Happy Simming! 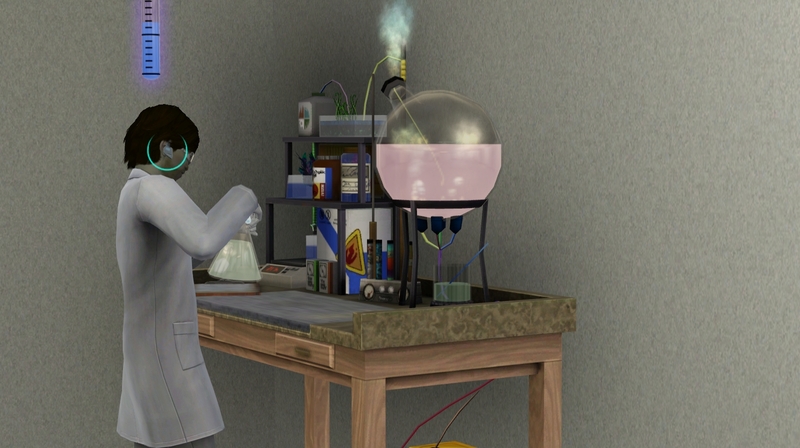 This entry was posted in Generation 11 - K and tagged Alphabetcy, I'm Surrounded By Idiots, ISBI, Krypton Zale, The Sims 3, Zale Legacy on 09/15/2014 by Heather. Yay! For a wedding. Looking forward to more little Zale’s running around. 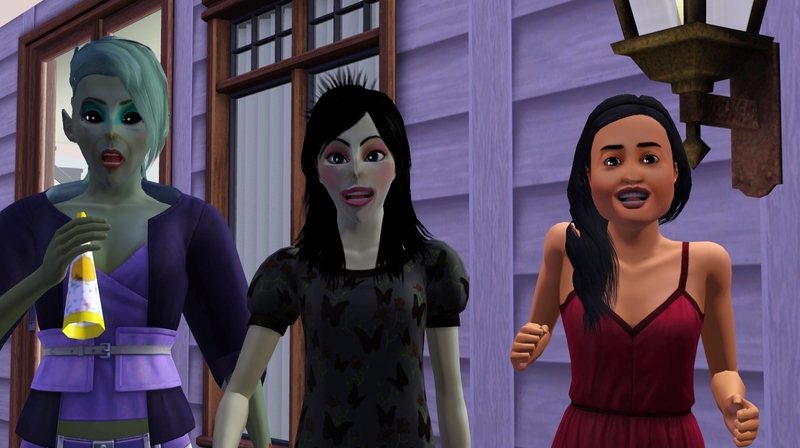 Sim!Sammy went on that outing with them so she could try to weasel her way into the legacy haha! Aha! I see what you’re all about now! I was disappointed in Jasmine as well, but the Sam/Krypton babies should be great! Wow, that is so awesome. I didn’t expect to be married in, just party fodder. But very excited – maybe my puffy cheeks will round out the alien face a bit? And I’m so glad it’s Krypton, my fave little eccentric. 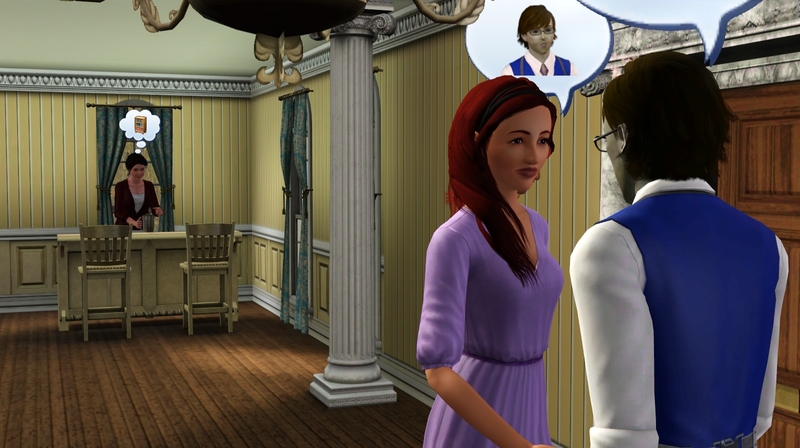 LOL, at the simselves chaperoning the date – gotta make sure Krypton doesn’t get up to any funny business! 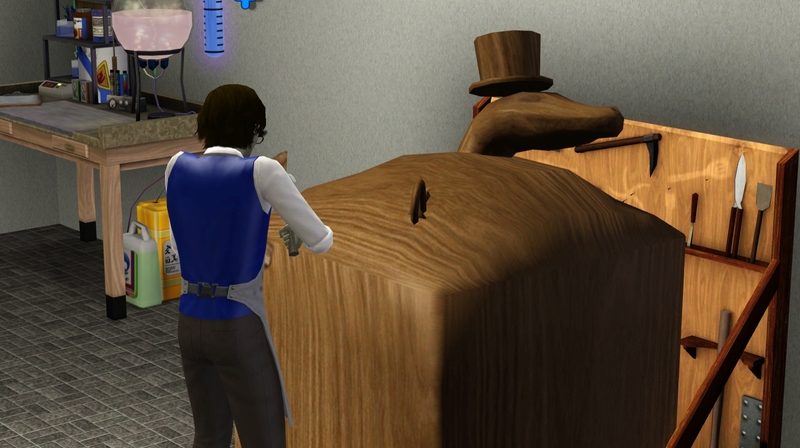 I shall have to try your method of moving spouses in before the wedding – your reasoning seems sound, and that stupid “move in” wish is so annoying. 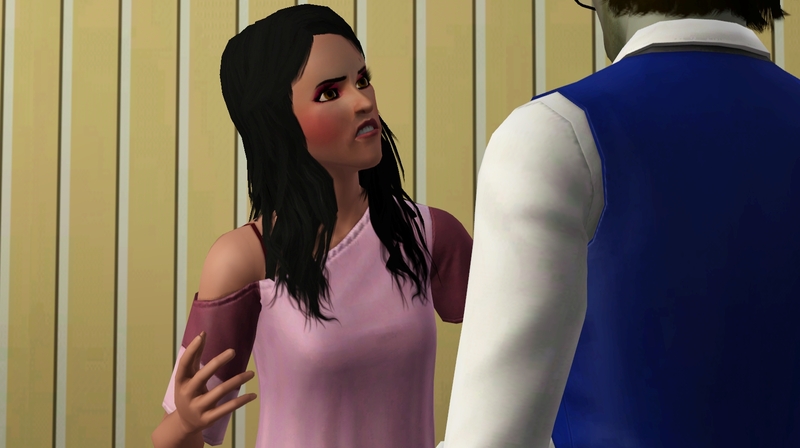 And I just realised…is that the CC hair I put on her? In your vanilla game? Wow! So did not expect that! Ha ha! Yes! 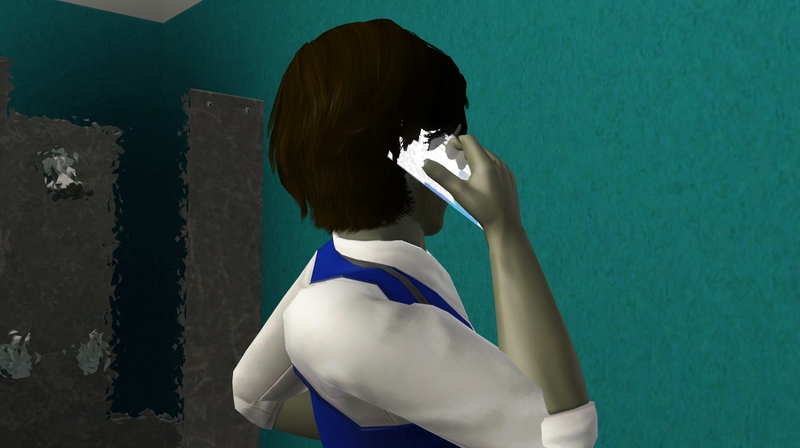 It just came with your SimSelf. I didn’t have to download it separately. 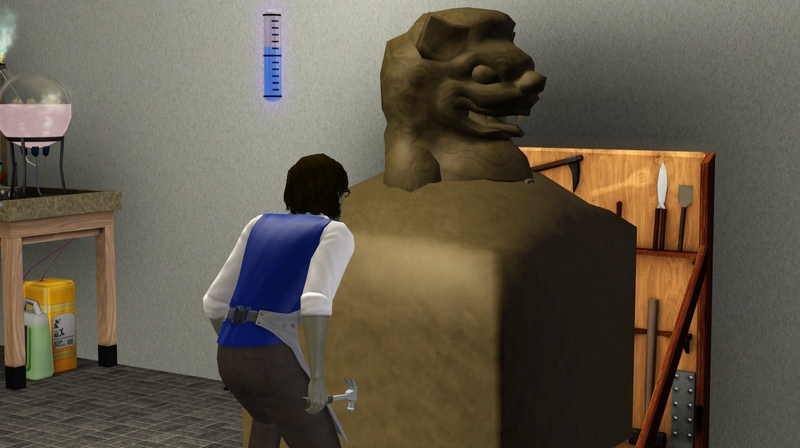 I’ve managed a few pieces of CC that way! I’m glad you’re okay with it! I had picked Jasmine, but they didn’t get along! Krypton just liked you best! And yeah, the move in thing totally works. I love Krypton! I am so glad your hubby chose him! And Sam is just adorable! 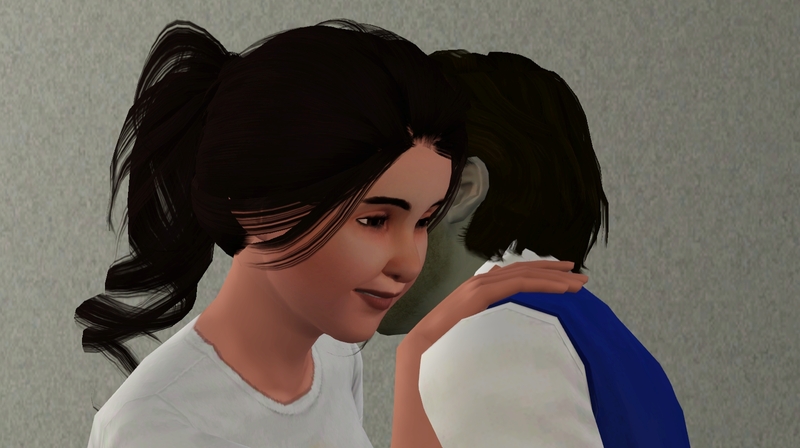 I can’t wait to see what their babies look like. It’s only a matter of time now with the wedding out of the way! Also, yea, that was a truck load of ugly in that photo. 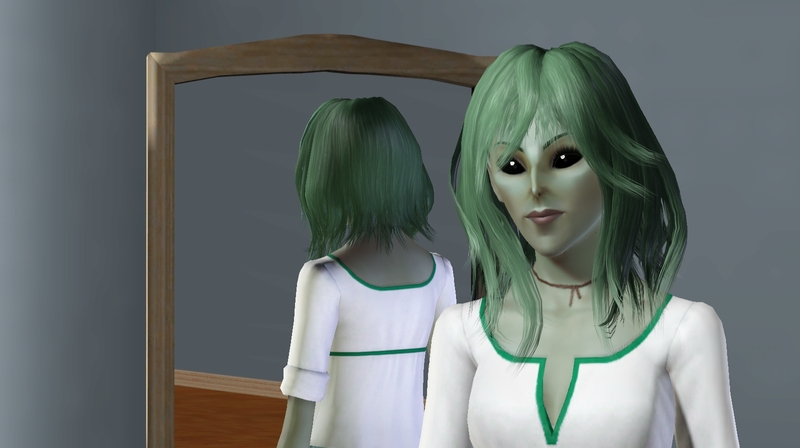 I haven’t seen any square headed sims in my game so I will live vicariously through the one found in yours. 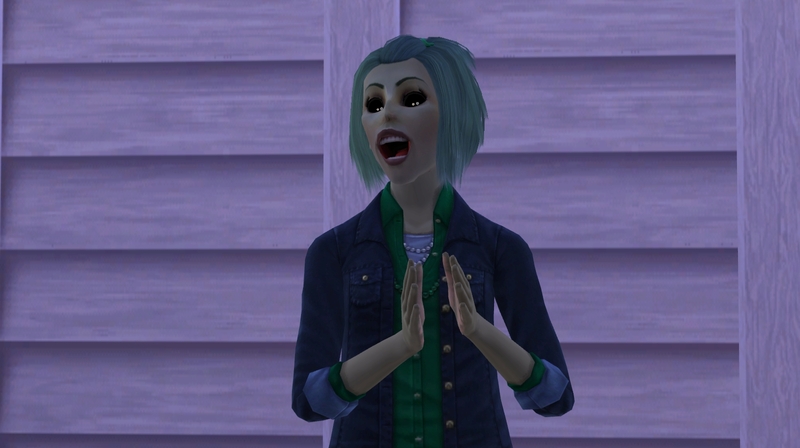 Now, for another ugly image, imagine what her parents looked like to give genetics like that haha! 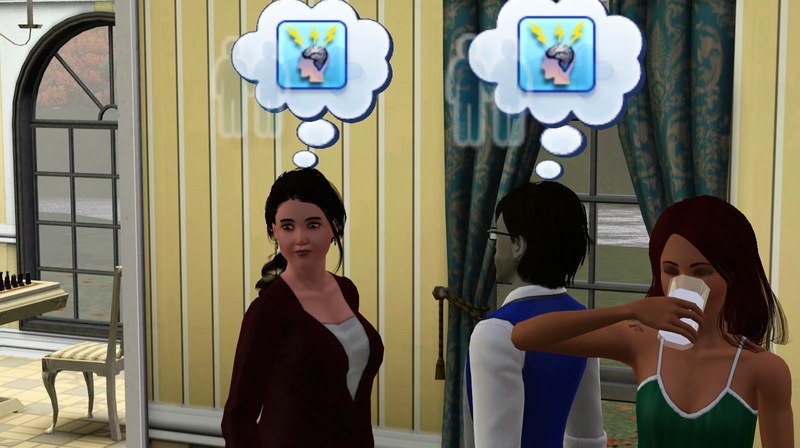 They haven’t had their wedding yet! 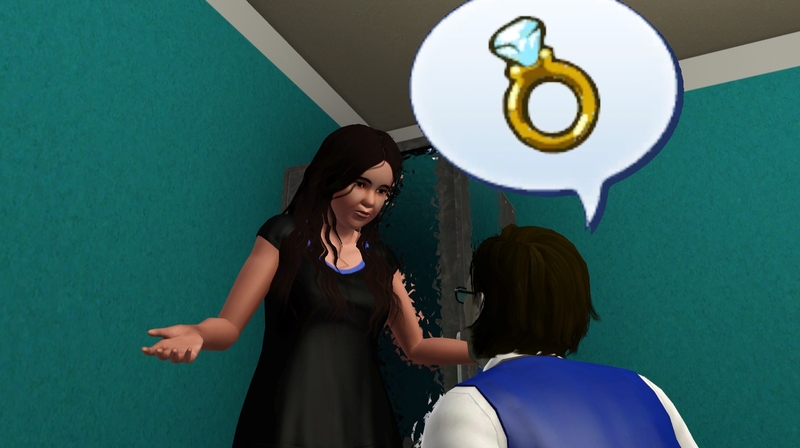 The bathroom picture is just the proposal shot. We’ll have a wedding next time! And I know! Isn’t that Pansy girl a riot?